Our latest CALI Award winner is Belinda Dawson. A wife, mother of 3 and passionate about supporting others along the journey of having a child with special needs, Belinda believes that it takes a village to raise a child and The Disability Trust’s, Kids Fund is proudly part of her village. 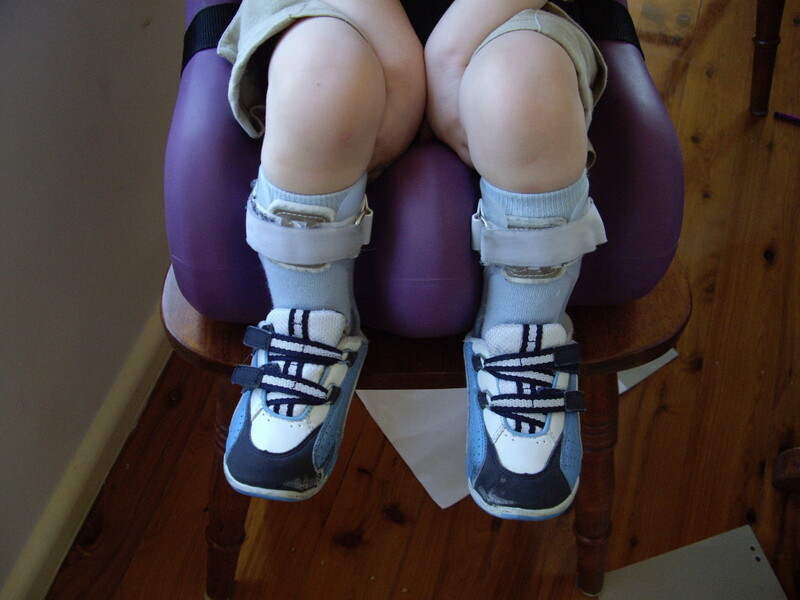 Belinda: Kids Fund is an Illawarra-based charity, managed by The Disability Trust, that purchases essential aids and equipment for children with disabilities – for example: walkers, orthotics, communicators, hoists, wheelchairs and seating systems. Kids Fund doesn’t receive any government funding and relies on the community for all donations. An Allocations Committee comprising of local volunteer therapists, meet on a 6 monthly basis to review and prioritise applications for equipment. Now 14 years old, the fund has raised close to $1 million and has assisted over 450 local families. Kids Fund is available to families where all other funding options have been exhausted. Kids Fund is unlike many charities in that there are minimal, if any, administration costs. Belinda: In 2006, my world as a high-flying IT girl came crashing down when I gave birth to my first child – Alex. He was born at 28 weeks gestation and weighed 606 grams. 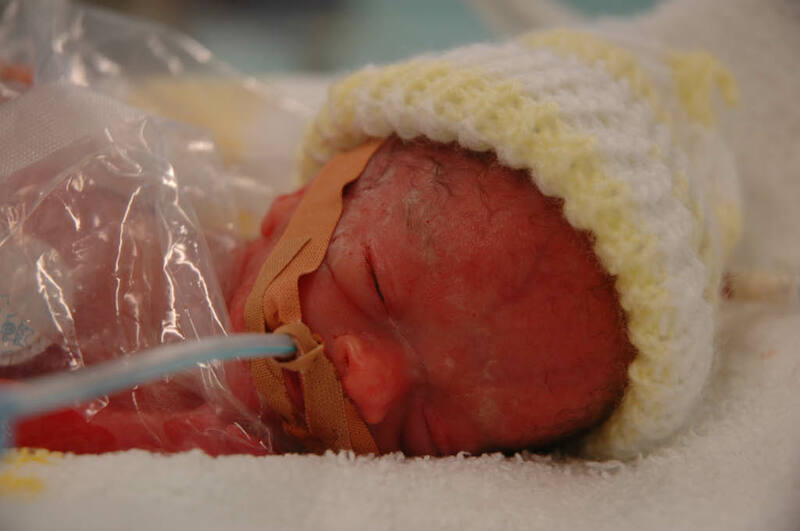 He had typical premature baby issues including breathing difficulties and problems feeding. He was in hospital for 100 days and over the following years we embarked on a journey of many medical appointments, surgeries and therapy. Our focus was on supporting his development so I resigned from my job, though I had been on leave since his birth. Along the way, we were helped by many people and organisations. Due to Alex’s Cerebral Palsy he needed ankle foot orthotics and as he was tube fed, he required a supportive seating system for feeding. Through our physiotherapist, we applied to a local charity – Kids Fund – who purchased this equipment for us. I was humbled to learn that this charity relied 100% on donations from the Illawarra, the region we live in. To think that strangers had donated money that ultimately led to Alex’s equipment, is something that never left me. The following year, four girlfriends and I held a “Benefit Night” for Kids Fund. We made $5000 and were ecstatic. A year later, I was asked by The Disability Trust if I could volunteer on another fundraising event for them – an annual gala celebrity dinner. I joined the committee and it was a different league of fundraising. The night alone raised $320,000. Following this evening I was offered a job as Fundraising Officer for Kids Fund, at The Disability Trust. During this role I have been involved with everything from fun runs, to casino nights, to race days, to tree planting, to ABBA nights. It is never dull! Q: Why is Kids Fund so important in your community? Belinda: Kids Fund positively impacts the Illawarra community through the timely provision of essential aids and equipment for children with disabilities, thereby reducing the financial burden on the families of these children. By providing children with the equipment when they need it, it ensures they get the best start possible in life. In addition, the equipment can often have a life-changing impact on the child and the family. For example, a new portable stroller can allow a family to access a park whereas their wheelchair couldn’t accommodate it. Another example, a child receives a walker that enables more independence and better socialisation with peers at school. All funds raised for Kids Fund remain in the Illawarra community. 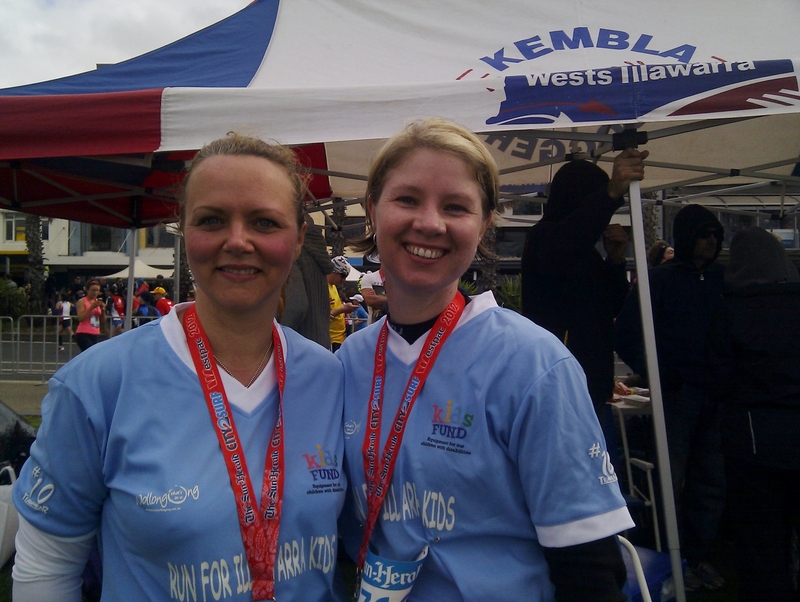 Fundraising events are focused within the Wollongong, Shellharbour and Kiama areas, because this aligns with the local government areas that Kids Fund covers. Donors are particularly happy to hear their fundraising dollar will remain within the Illawarra. As Kids Fund maintains a pool of equipment, there is also opportunity to reuse equipment rather than purchasing it new. Not all equipment can be reused, however with the advice and guidance of therapists on the Allocations Committee, particular pieces of equipment such as walkers, wheelchairs and seating systems are typically able to be reused. By reusing, Kids Fund can spread the available funds even further. 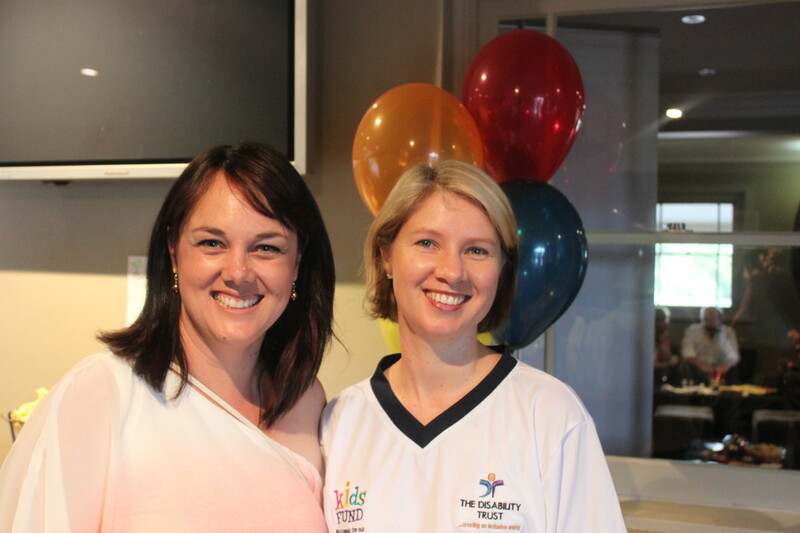 The Illawarra community is involved with Kids Fund during allocations and fundraising. The Allocations Committee consists of individuals located within the Illawarra community e.g. therapists with NSW Health, therapists with Ageing, Disabilities and Home Care, parent representatives, community representatives and members of The Disability Trust. Fundraising activities reach out to the community, either through gala evenings, race days, casino nights or triathlons. An example of a community event was the 2013 TriTheGong (Wollongong’s own triathlon and multi-sport festival). 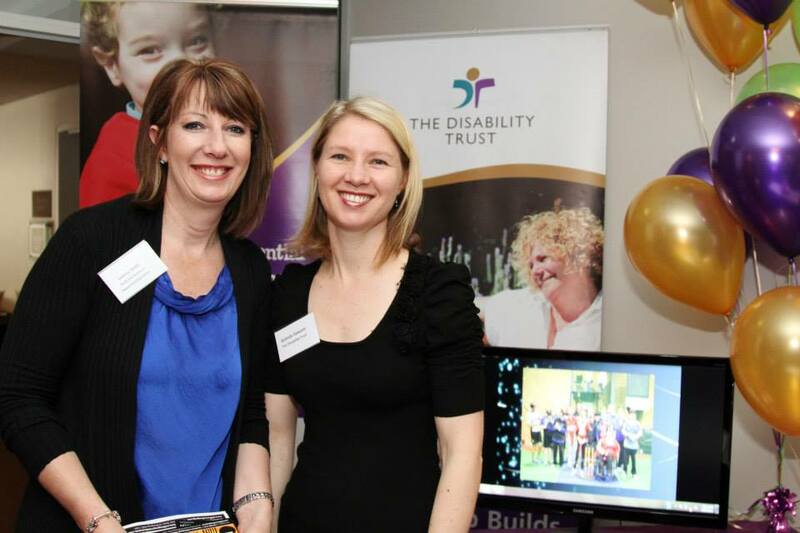 As the chosen Community Partner at TriTheGong, over 100 volunteers from The Disability Trust assisted organisers on the day. There was also opportunity for Kids Fund to undertake some fundraising through a sausage sizzle, an online donation campaign and donations during the registration process. Q: What is something in your work that you are really proud of? Belinda: I feel it is a privilege to do my role with Kids Fund. When working at fundraising events, it is humbling to be the recipient of so much generosity and goodwill from local businesses and individuals. Whether they donate $50,000 or $1, it is privilege that they trust you to spend their money wisely. Equally, when working with families who are seeking support from Kids Fund, you are privy to their child’s history and diagnosis. Some families are still coming to terms with their child’s diagnosis and you are entering their lives at a particularly vulnerable time. I would have to say my proudest moments are when I am able to “link up” the donor with the recipient. I have done this through physical gatherings like morning teas, when the donors get to meet the child they have helped, and get to see the equipment in use. I also constantly collect children’s stories and photos and publish them on our website and other media as “profiles”. Families are keen to be part of this as it is a way of celebrating their child as well. Belinda: I have always enjoyed working as a team and being part of something ‘greater’. Kids Fund gives me lots of opportunities to work with many teams – both at The Disability Trust and within the community. Especially since having Alex, I have become much more humanistic and connected to my local community. I enjoy connecting with people and listening to their story. Now that I am 7 years into the journey of having a child with special needs, I feel I can help support families that maybe have just been diagnosed or are not as far along on the journey. Whilst it was the logical thing to do, I struggled with leaving my IT career behind – it was such a big part of my identity – but nowadays with my work with Kids Fund, I am able to utilise many of these skills. Obviously it is a different industry and application, but I am motivated to think that I do “add value”. Kids Fund also provides me with personal opportunities. 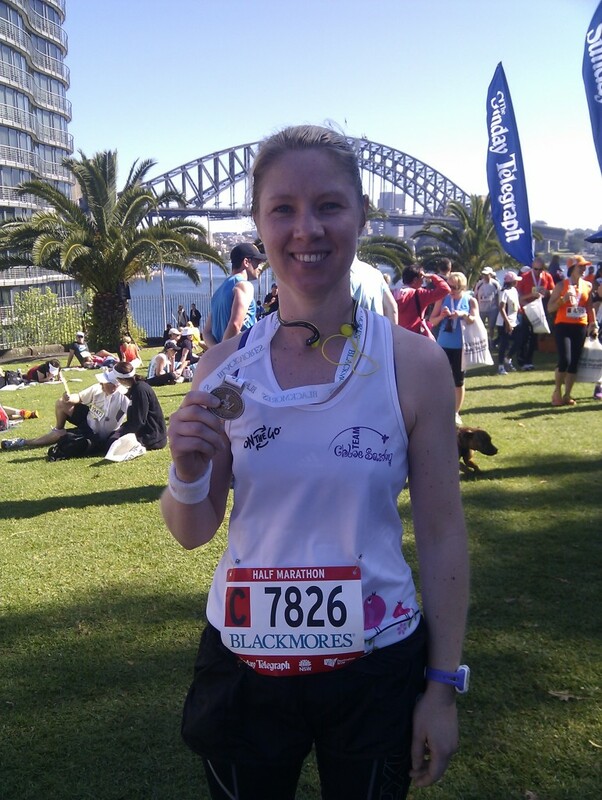 Through one of the children we helped – Chloe Saxby who has Vanishing White Matter Disease – I became aware of a team of runners competing in the Blackmores Running Festival. I joined “Team Chloe Saxby”, trained for and ran a half-marathon, along with raising money for research into her disease in September 2013. Every time I dragged myself out of bed and put my running shoes on to train, I thought about the fact that I had a choice that morning of going for a run. I am healthy and fit. Chloe, now in a wheelchair, doesn’t have that choice. Belinda: Yes, and the reward is knowing that you have positively impacted a child and their family, living in their community. I don’t get to meet every family we help, but I do receive lots of feedback about how Kids Fund has helped. To make everyday living easier and inclusive for children with disabilities, along with removing yet another financial burden is Kids Fund’s goal. Seeing this eventuate is very satisfying. A recent article I submitted to the Illawarra Mercury, was about the purchase of a new stroller for a 7 year old child with autism. For his mother Emma, there was no other funding source she could turn to. Dominic walks unaided, but due to his behaviour she was unable to do basic tasks such as shopping and watching Dominic’s twin brother at sport. She applied to Kids Fund and was successful. It was very rewarding to know that we have helped get Dominic and his family out there in the community. Belinda: Being at peace – to think and reflect. This doesn’t necessarily have to be sitting still. I find my most “peaceful” time is when I am out running early in the morning. 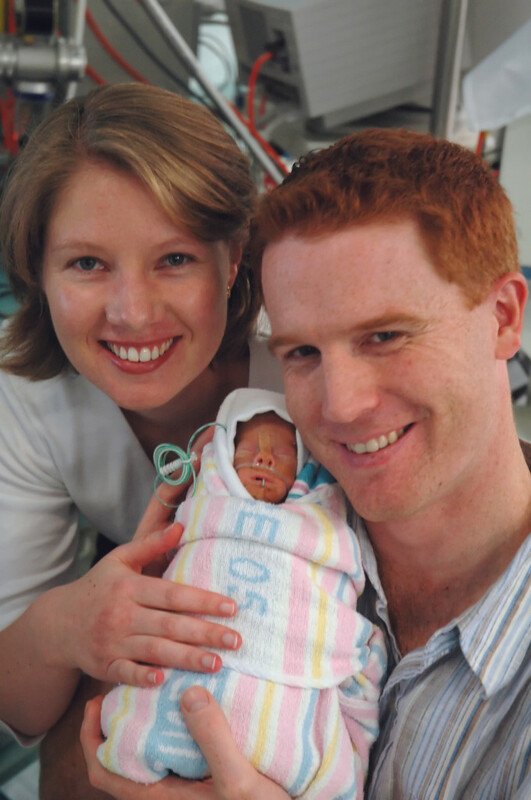 Belinda’s life changed forever when her first child was born at 28 weeks gestation. 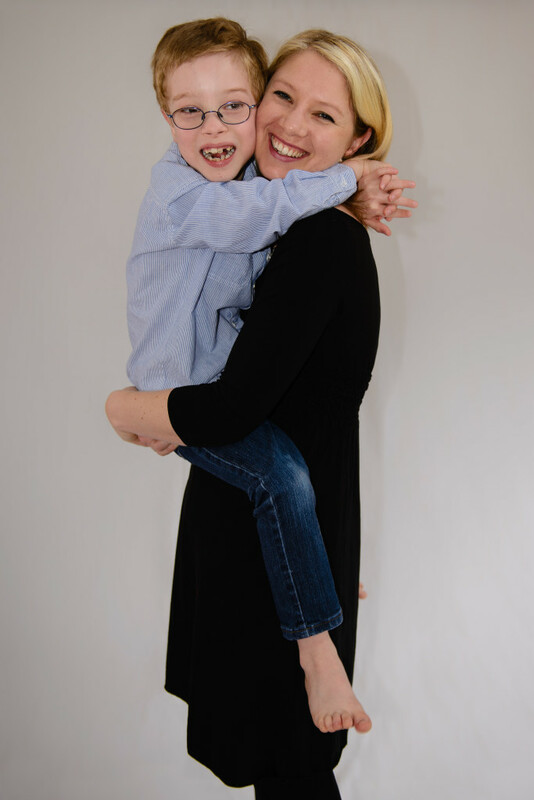 Leaving her career, Belinda focused on early intervention therapies to give Alex the best start in life. Through volunteering initially, she went on to work with a local charity that helped her son with aids and equipment – The Disability Trust’s, Kids Fund. As well as fundraising within her local community, Belinda works with families who receive aids and equipment from Kids Fund.